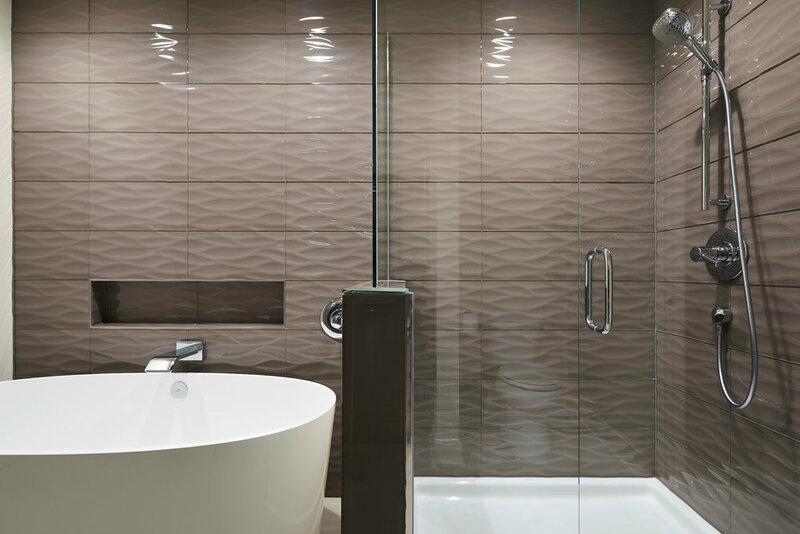 While designing the rest of the home the bathrooms and kitchens are often updated or completely renovated. Updating or enhancing the space can include all or any of the following; new fixtures, colors and materials that work with the rest of the home, new lighting and hardware. We removed the existing red patterned wallpaper, elaborate mirrors and chandelier and replaced with new pieces reflecting a contemporary design. For this teenagers bathroom, bold color, a grand chandelier, and window blinds helped make it a fun girly space. New mirror, lighting and paint colors added warmth and complimentary style to the rest of the condo. 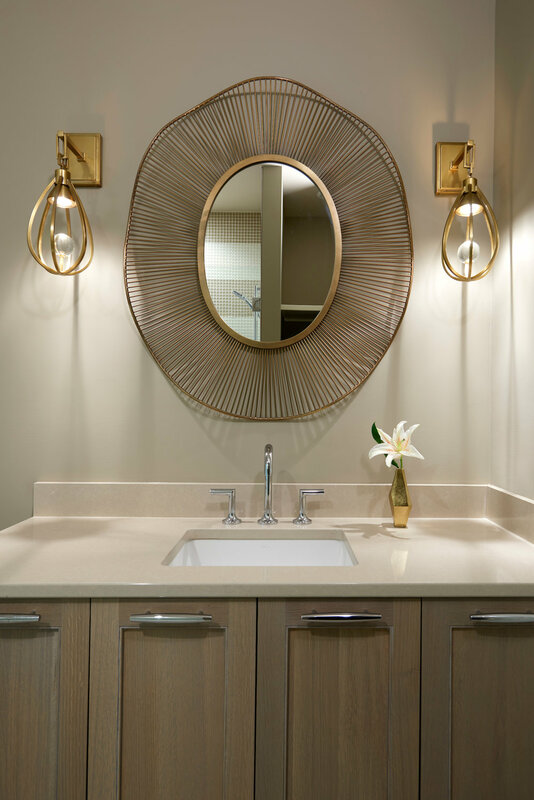 An existing powder room was gutted and updated using a gold and green slate tile and custom made vanity. Detail of the slate floor and wall tile with the pedestal sink.